The 2017 Southwest Indigenous Foodways Gathering & Arizona Small-Scale Producers Forum will feature hands-on workshops and presentations on food, seeds, agriculture, ranching, traditional farming methods, health, culinary youth mentorship, food sovereignty, and the Rights of Indigenous Peoples. An indigenous foods menu will be prepared by Native American chefs and community members. The gathering and forum will end with a public farmers market highlighting food demos, local products, arts and crafts, and music. 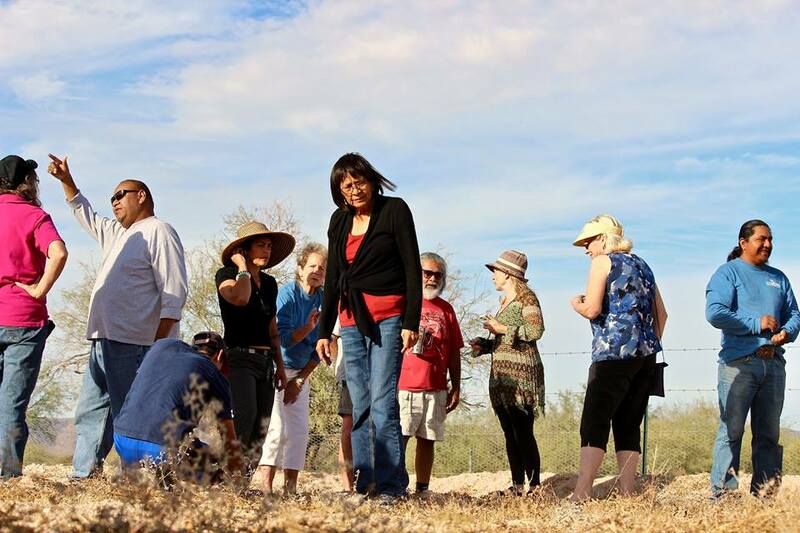 The forum is sponsored by the Ajo Center for Sustainable Agriculture, Tohono O'odham Community Action, Native American Food Sovereignty Alliance, International Indian Treaty Council, Local Organic Crops and Stuff Cooperative and Local First Arizona Foundation. FREE for Indigenous Peoples, POC, Residents of Ajo, Youth (Ages 14-24), and Ag Producers. $200 (for all 3 days) or $75 (per day) fee for everyone else. Purchase your tickets and review the agenda here. Note that December 9th is a Public Farmers Market Day and is FREE OF CHARGE TO EVERYONE. Come join us at our weekly Farmers Market in the Plaza.